Poking around the garden yesterday I found a few bright red rose hips once again. Before these went into tea blending but this time it seemed a better idea to soak them in Jojoba oil for use throughout the winter. Especially on all those paper cuts coming my way soon. 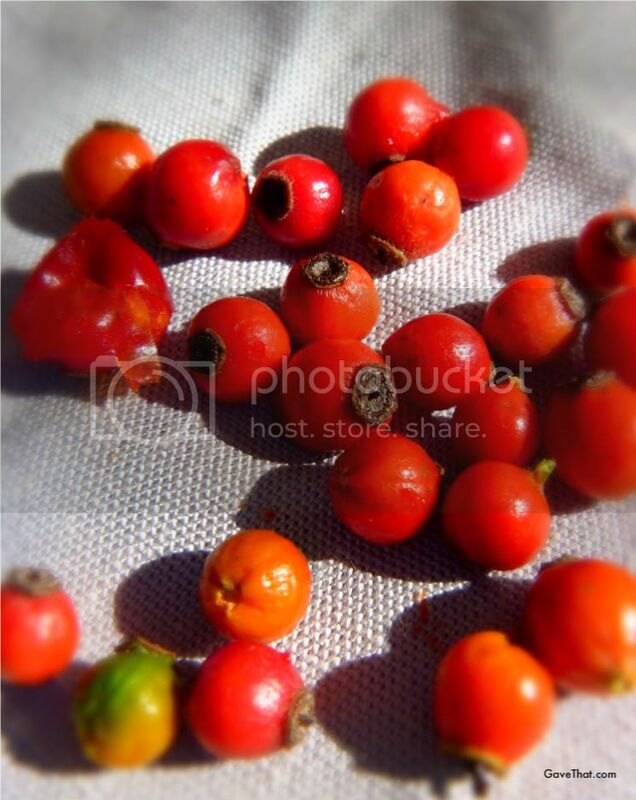 Rose hips are filled with vitamin C and do wounder to heel the skin. For a quick DIY version the hips are slightly crushed and gently heated in the oil then bottled up and left to sit a week or two in a cool, dark place. Then it's popped in the refrigerator. 1) Place rose hips on a plate and using the back of a spoon or a rolling pin, gently crush them. 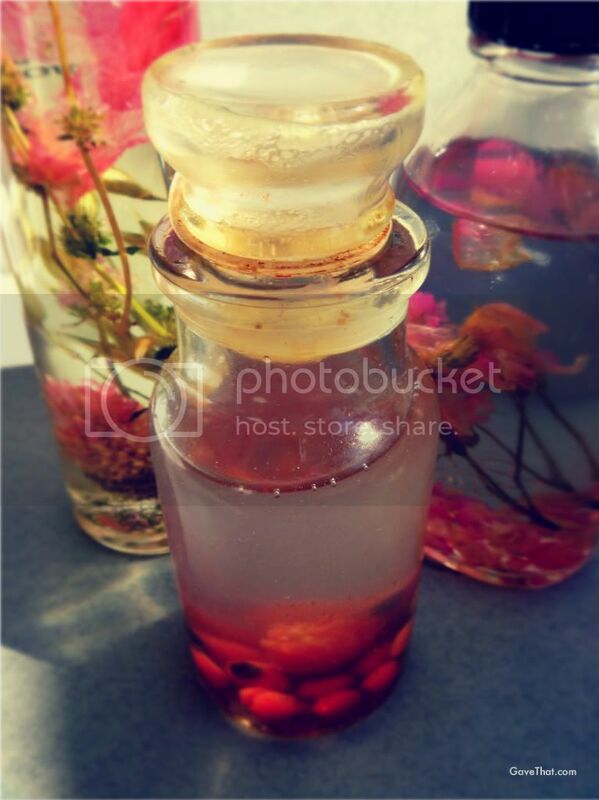 2) Taking your oil or a blend of oils, please it in a small bowl or cup and add the crushed rose hips. Place this in the pot with a shallow amount of water in it and bring everything to a gentile simmer, siring every once in a while. 3) Remove from heat and allow to cool. Add vitamin E &/or honey if using and place into a glass container with a tightly secured lit. Allow to sit in a cool dark place for about a week. The rose hips can then be strained off leaving an amber colored oil behind. This is best stored in the refrigerator. PS... to turn the above infused oil into a salve see the recipe here and see how to create Rose Hip Tea here.